I have been in the pool business for almost thirty years. The last fourteen years I have been installing fiberglass pools. The mindset in the beginning was to put in pools as fast as you could and as many as you could. In the last seven to eight years people have gotten away from just pools to backyard paradises. In the beginning no one was doing much custom work with fiberglass pools. 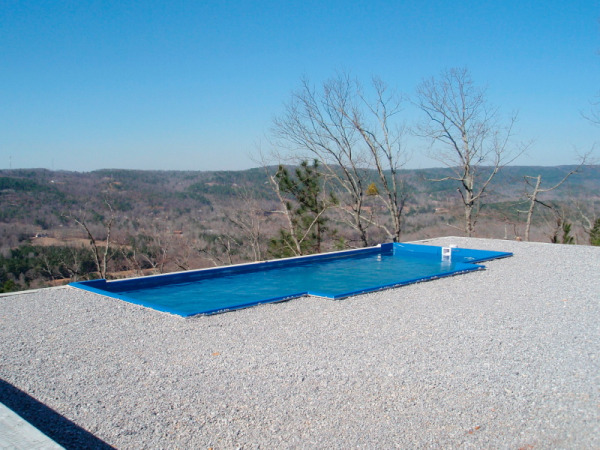 Since now fiberglass being the best pool you can install for longivity and ease of maintenance, we have adapted other ways to customize these pools. 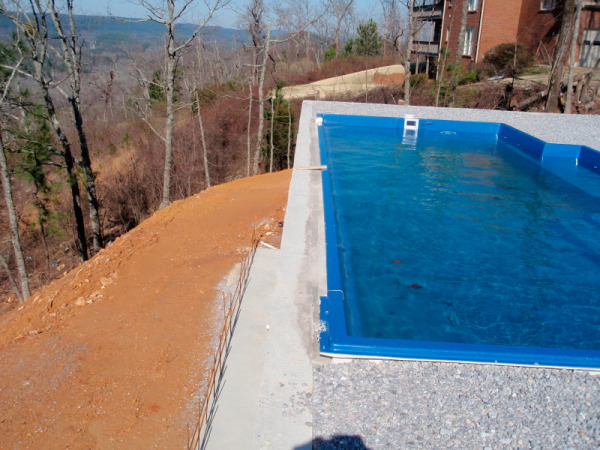 Negative edge and spillover pools can be installed using fiberglass pools. Obviously there are certain types of yards that need to be used for these installations to the get the best result of the negative edge or spillover effect. These are not the type of installs that you will do in volumn, but are the type that make you proud of the work and imagination involved to create them. This also allows you to get into the yards of some of those that were before restricted to only gunite pools. As far as the flow and catch basin sizes on these pools there is a lot of information available to use when making this type of install. 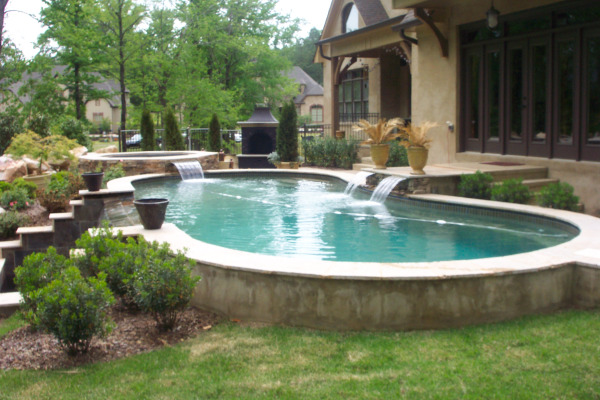 We install fiberglass pools manufactured by Leisure Pools out of Texas. We have been able to talk with the manufactures to produce a pool that is built to our specifications on projects such as these. The bottom line is fiberglass can be used in negative edge/spillover applications. Not only does the customer have cutting edge designs but pools that are the easiest to maintain hands down. What time of the year is best for installing a swimming pool? 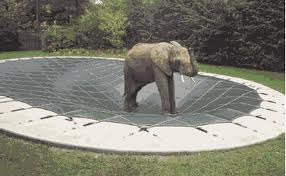 Anytime of the year is a great time to have a pool installed by Earl's pools. Althouth there are some things that the customer must understand before installation and that is the part that can be most frustrating is the waiting process. At this time of the year the wait can be longer due to high demands. If you purchase a pool based on who can get to it the quickest, there is probaly a reason they can get to it quicker, this is not always the best situation for the consumer. This is the customer's decision on when to purchase a pool and when it will be best for them to take on the process. These waiting periods are often over looked when added on to the following. Although due to colder temps. and wet weather the installation process may take longer, but you will have a completed pool in time for the entire swimming season. This is why we feel it may be beneficial to install a pool during the later months, so your return on investment is greater for that year. You may also find winter specials that will save you money versus standard prices while demand is high. What type of cover should I install on my pool? We have installed many different types of covers here in the past, and this is our opinion on a few.